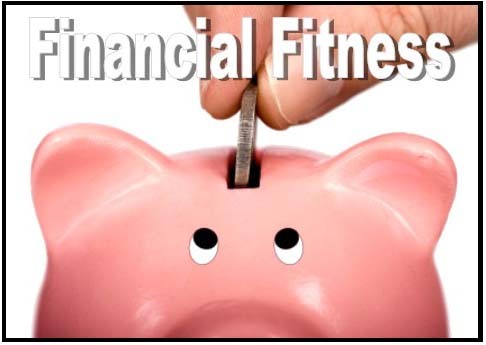 2019 Annual Giving: "Financial Fitness"
Each year, members of Bethlehem First United Methodist Church are asked to complete an Annual Giving Commitment Card as we make plans for the coming year. Annual giving supports the operating expenses of the church - our on-going ministries. An annual commitment serves several purposes. We will present our 2019 commitments to God during worship on September 30, 2018. If you are unable to return an Annual Giving Commitment Card by September 30, and would like to make a commitment, please contact our church office at 770-867-3727. Stewardship – to serve as one who manages another's property, finances or other affairs – is not just the means for the church to raise money. It is a way of life that recognizes everything we have is God’s, and we are simply managing those resources while here on earth. Today, we United Methodists join others to help all of God's children… whenever and wherever we can - just as Jesus multiplied the loaves and fishes when the crowd grew hungry. Through our congregation, we are the heart, spirit and hands of God's outreaching love. Life grows here through the joy of generosity. The following online tools can help you better manage your resources and honor God with your giving.